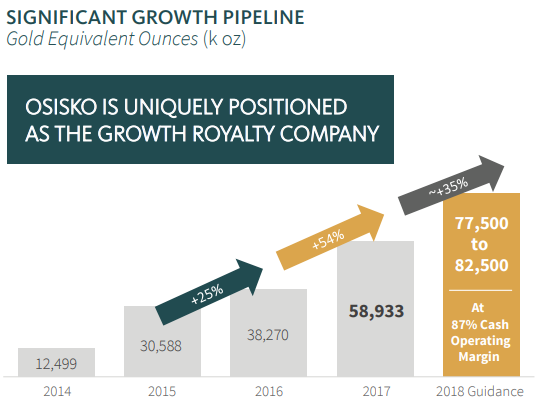 Osisko Gold Royalties (NYSE: OR) is one of the smaller gold royalty and streaming companies, and it is quite well-positioned for a bull price appreciation in gold. Importantly, it’s also reasonably well-protected from a potential bear market in gold compared to many gold miners. Gold royalty and streaming companies don’t operate mines themselves, and instead, they finance mines and expansions for gold miners. This generally makes them into very lean, profitable operations whereas other gold stocks have historically troubled to consistently generate a profit. For this reason, Osisko has a lower break-even price in gold for it to make a profit, which is ideal. 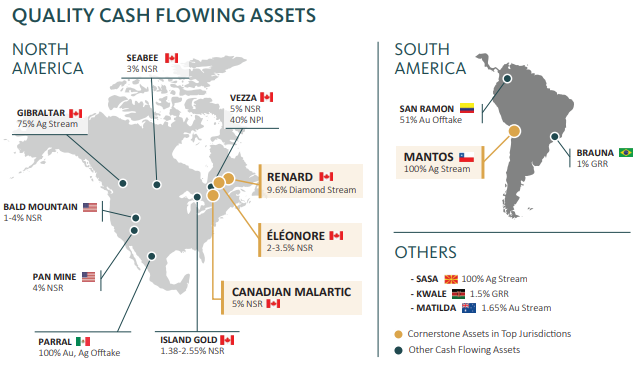 However, a unique aspect of Osisko is that in addition to their primary streaming and royalty business, they hold minority stakes in a variety of public gold mining stocks, including Osisko Mining, Osisko Metals, Barkerville Gold Mines, Falco Resources, and Victoria Gold Corp. This gives them some extra upside potential in the event that the price of gold appreciates in price. Osisko has over 130 different streaming and royalty agreements, and over 100 of them are in North America. Only 2 are in Africa. In other words, there is very little jurisdictional risk for Osisko’s investments, unlike some of their peers. Because the major gold royalty and streaming companies have been so successful, many of them are highly-valued. The biggest ones are the most highly-valued. Being smaller and more volatile, Osisko trades at a much lower valuation than its big peers like Franco Nevada. Osisko has recently decided to take advantage of this by authorizing a $100 million CAD share repurchase, which should increase the value of each remaining share. This should be a good investment because Osisko shares are currently trading for a price approximately equal to their tangible book value. Disclosure: The author is long gold, OR, and FNV.